IPL 12 Match 30 SRH vs DC at Rajiv Gandhi International Stadium in Hyderabad: Ishant Sharma is taken for couple of boundaries from Bairstow. He is such a fine nick that the margin for error against him is very little. This is a good start from SRH. 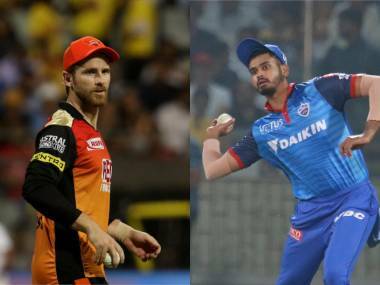 IPL 2019, SRH vs DC, Today’s Match Preview: A confident Delhi Capitals, who are coming off from two back-to-back victories, will take on Sunrisers Hyderabad in match 30 of IPL 2019 on Sunday. Opener Shikhar Dhawan was in top gear in DC’s last match as he scored unbeaten 97 to beat KKR by seven wickets. Dhawan played for SRH earlier and has a good record at the Hyderabad ground. Shreyas Iyer would hope for another good performance by the veteran batsman.